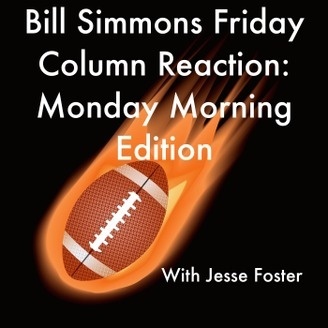 A Monday Morning reaction to Simmons Friday column. One Friday column leaves us always wanting more. Each time Bill puts out a column, guys like me stop what they are doing and read. 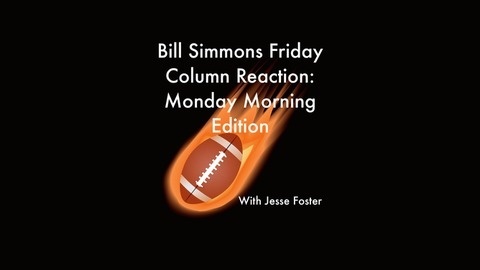 Think of this podcast as processing what Bill was saying, dissecting where he is on the right track but where he fell off the tracks, and also quickly overviewing how his picks turned out and what went wrong in his pick strategy. Because something always goes wrong, as we know he isn’t winning the Vegas Super Contest anytime soon. This week the curse of Cleveland!